I love mehndi and that’s my favorite part of the Indian wedding season! Mehndi clad hands and feet add so much festivity to the overall look. There are simple, intricate, complex vines, beautiful floral, symmetrical, geometrical and quirky designs to choose from. However, this wedding season, I am going to do away with the typical Rajasthani mehndi design. 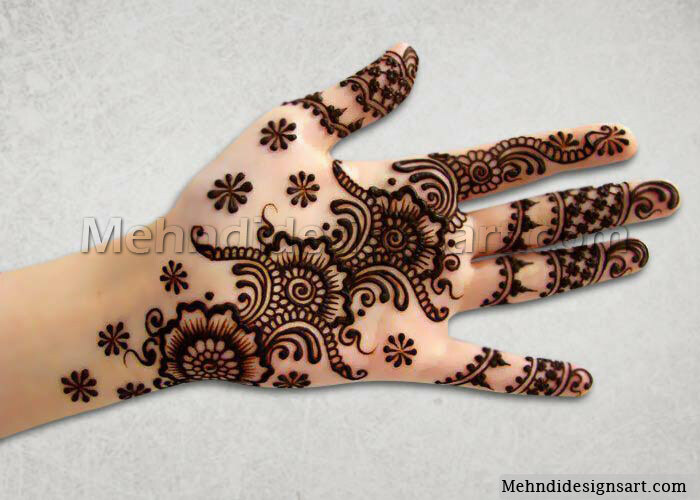 Instead, I am going to opt for a stylish Arabic mehndi design! So, for all the ladies out there who are wondering which latest Arabic mehndi design to go for.. take a look at these 19 awesome mehndi photos. Get inspired right away! There are several types of mehndi styles available, such as African, Indian, Pakistani and Arabic mehndi designs. Infact, you’d be surprised to know that at the moment, Arabic mehndi designs are getting extremely popular around the world. And, although a lot of people think that they are pretty similar to the Indian mehndi styles but, I differ. The typical design in Arabic style mehndi is flowing and little less complex, unlike an Indian traditional mehndi design. The patterns are usually dispersed. Besides, you can wear mehndi on only certain parts of your hands, such as wrist, palm, back of your hands or just the back of your fingers. 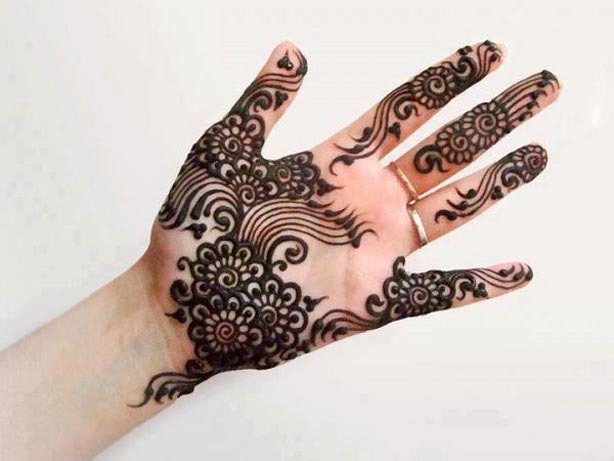 But, what has got me going crazy about Arabic mehndi designs off late is the fact that it is so beautifully spaced out, showing off some part of your skin. That looks really gorgeous. Moreover, the typical motifs of Arabic mehndi design, which are dots and vines beautifies the overall look and feel of your hands and feet. Even though, the Arabic mehndi designs are uncluttered and all, but they can be pretty tough styles to draw. Chains, net and intertwined strands, these patterns are stunning to look at but while they are being applied in graceful and lovely knotty styles, the mehndi artist has to be so terribly focused. Last but not the least, Zuri recommends the application of mehndi to be done atleast 2 days before the wedding day. So, all you lovely ladies out there! We hope you have got mesmerized by this lovely collection of latest Arabic mehndi designs. Besides, they are apt for the summer wedding season.